Today, The San Marcos Food Blog will be highlighting a wonderful local Chef and Caterer, Pamela Steger of Steger’s Chiffonade. I was recently introduced to Local Personal Chef and Small-Event Caterer Pamela Steger, Owner and Operator of Steger’s Chiffonade, currently serving the San Marcos, TX area providing high-quality, homemade food for a variety of occasions and events. I am fortunate to have had the opportunity to sample quite a few dishes and a dessert and I have to say that I thoroughly enjoyed every single preparation and am happy to have found yet another skilled Chef in this town. Have a meal delivered to your home or business! 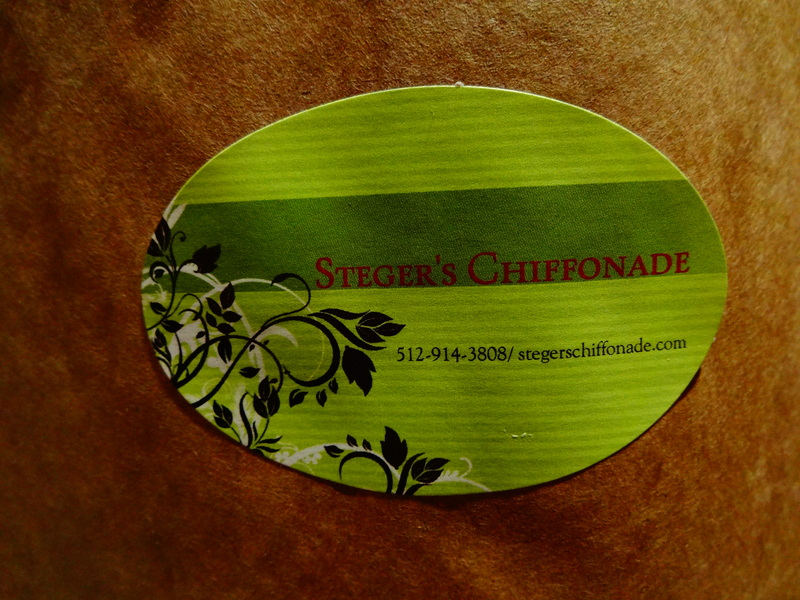 “Steger’s Chiffonade is focused on providing high-quality, homemade food for your family, as well as small catering events. 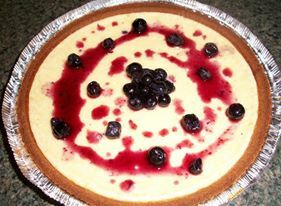 I will prepare your food, with your restrictions or suggestions, and make it available for you to warm at home or work. As well, if you have a small event that needs personal catering please think of delicious homemade bites for your guests. I love her passion for food. Every menu is fresh and new and always inventive yet refined. She really could serve all palettes and preferences from what I have experienced. She also sources her ingredients locally when possible. She is very flexible and will deliver to your house or business and her prices are quite reasonable especially considering the quality that she offers. Many people have told me of their very positive experiences with both her delicious food and also with how professional she is. I highly suggest trying her and she gives first time customers 15% off..
For this review, I sampled several dishes over a couple different weeks. 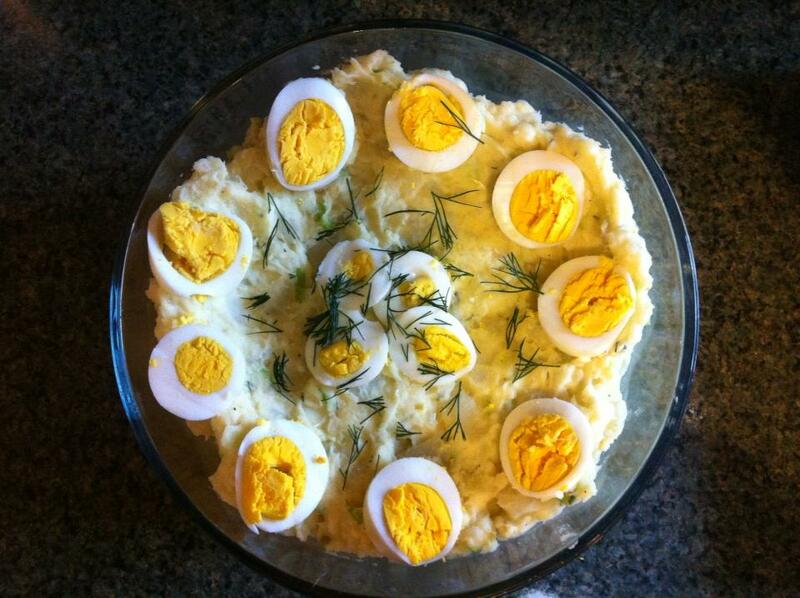 This was such a classic dish. It was very simple in its conception yet approaching genius in its execution.The pasta was cooked exactly as it should be with an overall moist character yet with a slight resistance when biting into it. I loved how the richness of the Prosciutto and the hint of herbs paired so undeniably with the creaminess of the sauce and the salt from the cheese with everything in the desirable proportions. 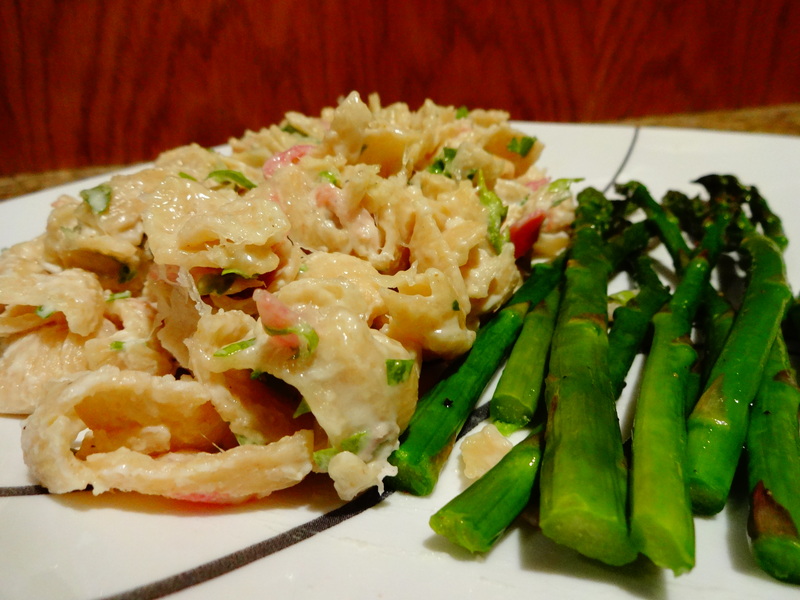 The Asparagus was also cooked and seasoned perfectly. Attention to detail is a huge part of why this dish is so successful. Chicken and Okra GumboI would honestly say that a Gumbo is a very good way to get to know a Chef. This gumbo won me over right away. The aroma that is stuck in my head and comes back to me whenever the word “Gumbo” is even mentioned was wafting from the container before I even opened it. The first bite told many things. The Cajun spices were definitely there and the Roux was done perfectly. It was very smooth with no graininess at all. There was obvious patience on the part of the chef which is utterly crucial to a Gumbo. 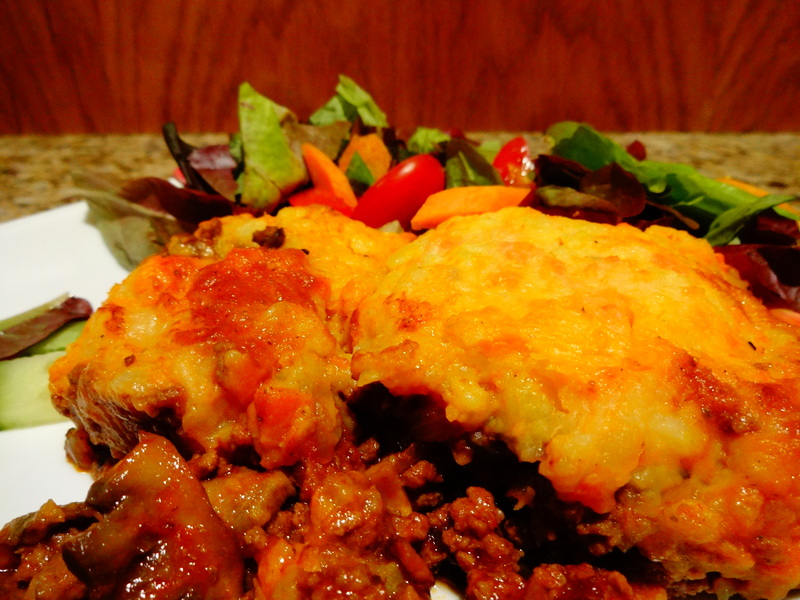 The rich, cultivated flavors and the precision with each individual ingredient made this one shine. 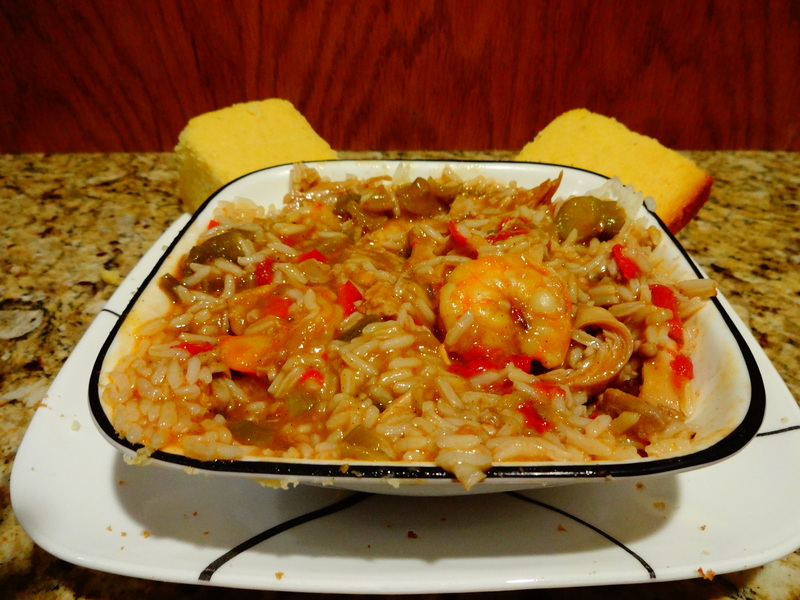 There are many qualities I look for in a gumbo and these were all there in this dish in spades. I ate it slow to savor, but really I could not help but go to town on it pretty quickly. I loved how delicate this dish was. This dish was so refined in its flavor profile and I really loved how fresh it was. 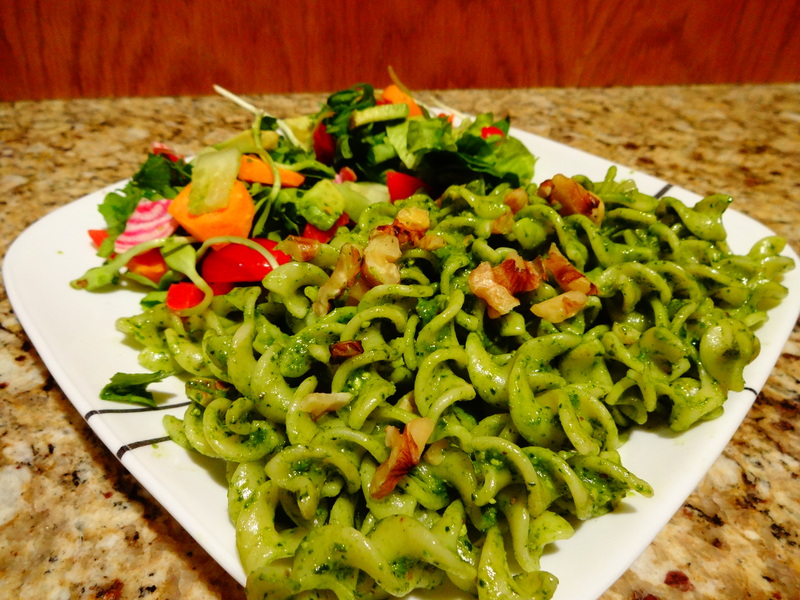 The pesto was very well-made and the accompanying salad was the perfect pairing. 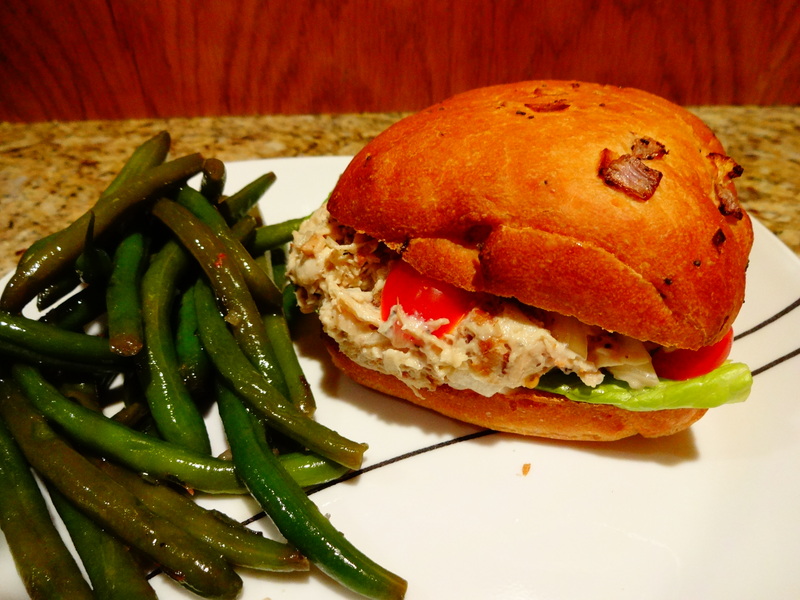 Beautifully simple dish but really the perfect Chicken Salad.. so creamy and rich and the smoky bacon balances so well.. the roll was also delicious and I loved the pairing of the sandwich with the green beans instead of fries or chips. Fantastic! This was so hearty and fresh and the seasoning was spot on. I loved this because of how filling it was. All the necessary flavors were definitely there.. ooooh I enjoyed this one. 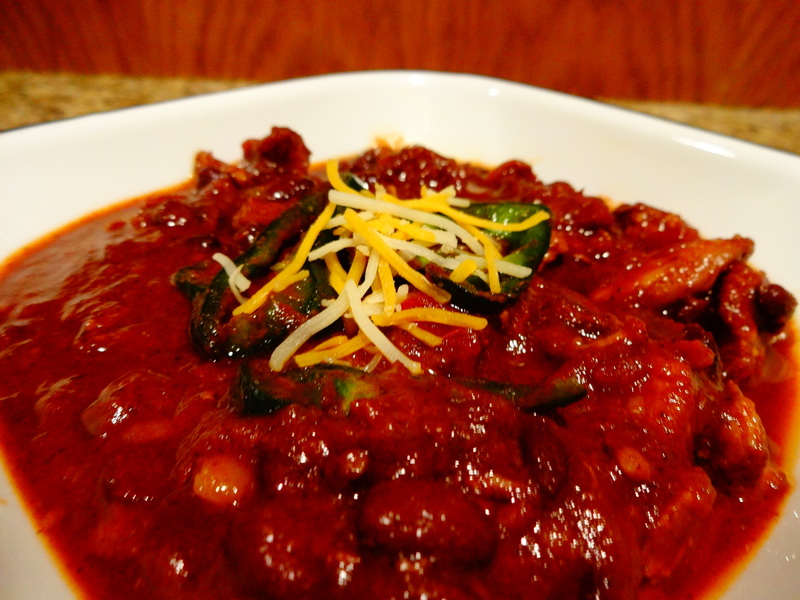 I am a huge Chili fiend and so of course when I saw this, I jumped on it and ordered it right away.. 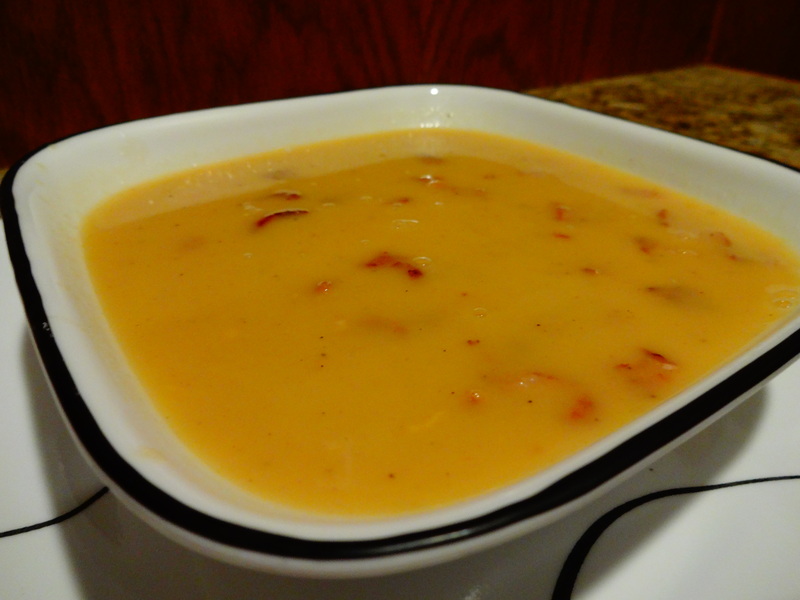 I really enjoyed the heat of it and the bright, spicy flavors. This was clearly well-thought out and also cultivated carefully. 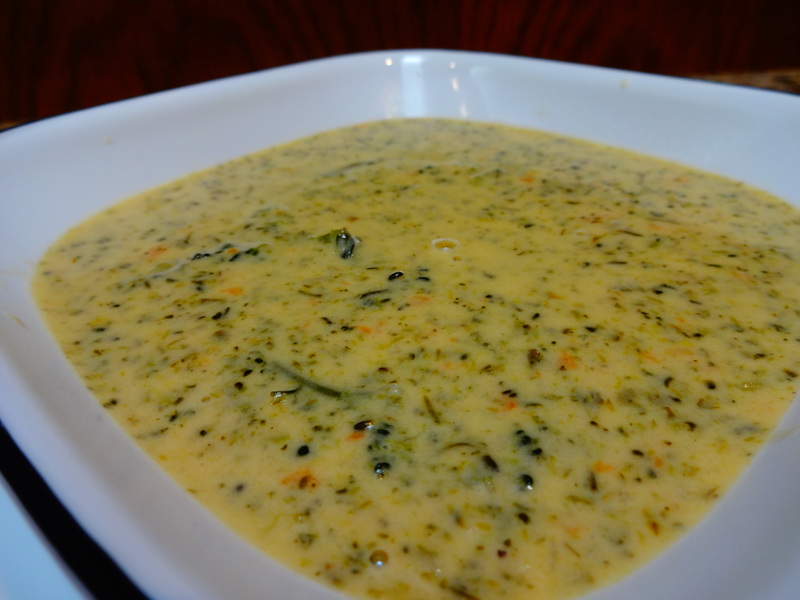 This is probably in my top 3 soups of all time and I make this at home sometimes as well as seek it out at restaurants whenever possible. Her version was absolutely delicious and this can be proven by the fact that I bought 3 orders worth and ate it all in about 20 minutes. Wow was this ridiculously delicious! 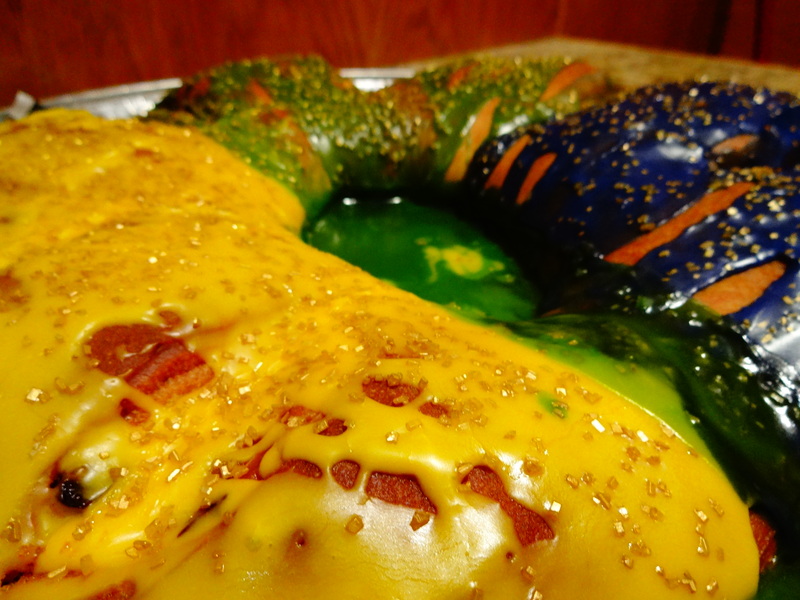 Admittedly, I have never had the pleasure of sampling a King Cake even though I have been to New Orleans twice. It was so rich with flavors mixing Cinnamon, Nutmeg, and Pecan blended with Brown Sugar and Butter. 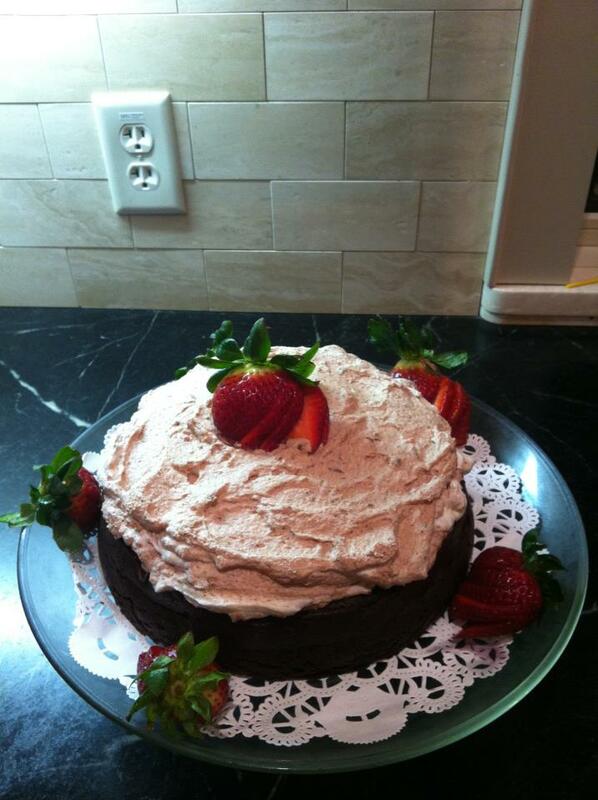 It was such a decadent creation. It was also HUGE!!! I did not know it would be that gargantuan.. I was under the impression that it would be like a third the size of that so when I got it, I was pretty shocked and excited to say the least. This was just what I was hoping it would be from everything I have seen and heard about King Cake. It took about a week and a half for me and 3 others to finish this..